At Brookline Physical Therapy patients come first and we stand behind the quality of our care. Born in Brooklyn, NY, John is the son of a general surgeon and pediatrician from Long Island NY. He earned his undergraduate degree with distinction in psychology in 1990 from Boston University's College of Arts and Sciences and assisted in clinical research in neurology for Boston University Medical School for several years. It was through his clinical research with patients with disabilities that inspired him to choose a career in physical rehabilitation. John continued his studies at Boston University's Sargent College of Health and Rehabilitation Sciences (SARGENT) and received his Master of Science in Physical Therapy in 1999. Boston University's physical therapy program has long been ranked as one of the top PT programs in the country by US News and World Report. He was trained in general orthopedics, acute rehabilitation, and sports medicine at New York City's Hospital for Joint Diseases and Columbia Presbyterian Hospital- two highly distinguished teaching hospitals in the US. John began his career as a staff physical therapist at Lenox Hill Hospital in Manhattan, NY. Now in outpatient orthopedic practice for over 14 years, John has spent the last five years managing an outpatient physical therapy clinic in Oldsmar, Fl which had earned recognition for "provider excellence" and was one of the company's first recipients of its "Corporate A Award" for his management abilities. He has served as a clinical instructor for physical therapy students attending universities in New York and Florida. John specializes in the treatment of orthopedic disorders and has received additional training in the treatment of neck and lower back pain at the McKenzie Institute. His rehabilitation approach is one that blends science with compassionate care and he stays informed of the latest research in rehabilitation that demonstrate what has proven to be truly effective. In his spare time he enjoys fishing, and biking. John's second love in life is playing the piano and trained at music conservatories in Boston and New York and he is a strong supporter of the performing fine arts. John is a proud member of the American Physical Therapy Association. 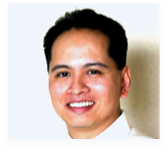 Born in the Philippines and practicing in the U.S. for the last 20 years, if there is one word to describe Lea as a physical therapist it is: experience. Having practiced in the states of Michigan, Indiana, New York and Florida and having practiced in a variety of rehabilitation settings she is extremely knowledgeable and experienced to handle just about any medical condition requiring physical therapy. She graduated one of the top students from Virgen Milagrosa University in 1986 with a Bachelor of Science in Physical Therapy. She began her career in the U.S. in 1992 at the nationally recognized Kingsbrook Jewish Medical Center's Rehabilitation Institute in New York City which treats the most complicated neurological and musculo-skeletal conditions. She has extensive experience with post-CVA (stroke), traumatic brain injury, and recent amputations. In 1998 she joined Beth Abraham Health Service's Comprehensive Care Management team. For 7 years she served as supervisor of it's orthotic and prosthetic clinic working closely with orthotists and prosthetists in the prescription of orthosis, prosthesis and orthopedic footwear working closely with CVA patients and new amputees. At Brookline, she will bring her invaluable experience working alongside the rest of our experienced rehabilitation team to bring patients with neurological and other complex medical conditions the best of care. She has many years experience in the PT outpatient setting and continues to receive advanced training in orthopedic treatments including Maitland manual therapy, and McKenzie Mechanical Diagnosis and Therapy from the McKenzie Institute. She is best known by her patient's and colleagues for her infectious smile, positive attitude, and compassionate care. She has served as a clinical instructor for physical therapy students in New York and Florida. When Lea is not busy with her practice she enjoys gardening and dancing. Maria Quintela was born and raised in London, Ontario, Canada and earned her Bachelor of Science degree in Occupational Therapy with honors in 1994. She is a proud alumna of the University of Toronto which the Times Higher Education 2012 World University Rankings survey has ranked it 19 in the World’s overall rankings and as the best university in Canada. Maria also successfully obtained her Hand Therapy Certification (CHT) in 2007. Certified Hand Therapists are the recognized specialists in upper extremity rehabilitation and must pass a vigorous examination covering advanced skills and theory in upper extremity rehabilitation. As a certified hand therapist (CHT) she has specialized in treating various conditions affecting the upper quadrant such as fractures, peripheral nerve compression syndromes, repetitive strain disorders, tendon and nerve lacerations, amputations, hand crush injuries as well as arthritis and other degenerative joint disorders affecting the wrist and hand. Her scope of practice also includes custom splinting/orthotic fabrication for upper extremity and hand. In her 19 years of practice as an occupational therapist she is also experienced in treating neurological conditions such as post-stroke recovery, multiple sclerosis, and Parkinson's Disease. She understands how these afflictions can impact patient's performance with daily living skills and customizes her therapy using a client centered approach to assist individuals in regaining their optimal level of performance. She remains committed to positively impacting and making a difference with each patient she comes in contact with and has a passion for what she does. Patients have described Maria as ‘being able to embody the spirit of patient care and provide encouragement while employing excellent technique and professionalism”. In her spare time she adores spending time with her family and enjoys Tampa’s warm weather and beaches. Jessica was born and raised in Zephyrhills, FL. She has worked as a store manager at CVS for the past 3 years running both the store and pharmacy including verifying health insurance benefits. In her duties as business office coordinator she emphasizes customer service and privacy. At Brookline, Jessica will also be offering certified personal training services and brings an exceptional blend of formal training and personal experience. As a student athlete she excelled in several sports including basketball, soccer, and track and field. She trained for several years under a gold medal winning US Olympian (1996), Jason Rouser at Zephyrhills High School and won several out of state athletic/academic college scholarships. Deciding to stay closer to home she took her athletic experience to the next level receiving formal education in personal training at Florida Gulf Coast University. She is also planning to study part-time at USF as an English education major. In her spare time she enjoys serving her church teaching Sunday school and spending her time with family. She is getting married in April 2014 to her fiancé Brent. Jessica is very excited to joined the Brookline team and we are happy to have her! 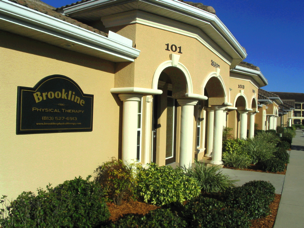 Brookline Physical Therapy is proud to introduce Charles Bouwens PT to the communities of Wesley Chapel and surrounding towns. Born and raised in Holland he received his Bachelor of Science Degree in Physical Therapy from Europe. His primary role at Brookline Physical Therapy will be as a consultant and trainer of our specialized fitness programs. Whether your goals be weight loss, core strengthening, improving of running technique, or fitness in general- he is your man! Having the background as both a high level athlete and a physical therapist he is supremely qualified as a fitness trainer. As a physical therapist in practice in Tampa for over 20 years Charles has advanced knowledge on the human body and physiology and he knows how to train individuals of all varying fitness levels correctly and more importantly- safely. We are excited to be introducing small group exercise programs, seminars on running techniques, and personalized training programs with Charles as our consultant. When Charles is not training he can be seen competing in local 5K runs, triathlons and other events. He recently completed an unimaginable 100 mile run from Squaw Valley to Auburn CA. "To laugh often and much; to win the respect of intelligent people and the affection of children; to earn the appreciation of honest critics and to endure the betrayal of false friends; to appreciate beauty; to find the best in others; to leave the world a bit better whether by a healthy child, a garden patch, or a redeemed social condition; to know that even one life has breathed easier because you have lived. This is to have succeeded."